Looking for something to do in the weeks ahead? Well, there is always plenty happening in Brisbane and, best of all, so much of it is free. In the coming weeks/months, there are a variety of free arts and cultural events on offer across the city, including music, movies and community festivals. There really is no excuse for not engaging with the arts this winter and the following events are just some of the free activities on offer across the city. If you love art and you love Star Wars, there is an exhibition at the Redcliffe City Art Gallery that is perfect for you. 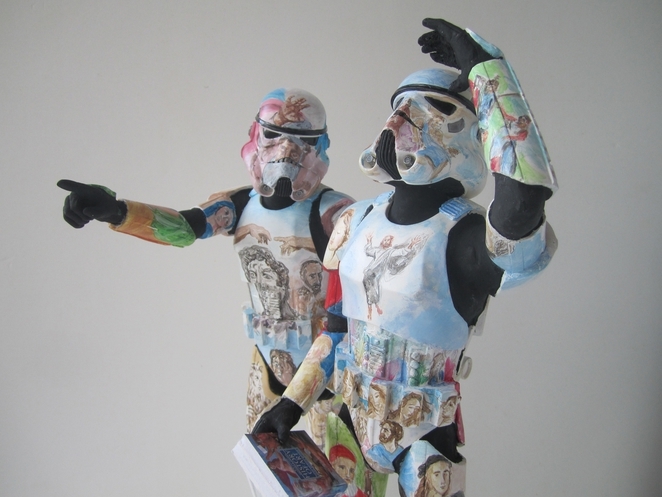 In The Long Martch, artist Alasdair Macintyre uses the iconic Stormtrooper characters from Star Wars to “combine the historical concept of the marching army, with the perilous journey of the artist through time.” The series also serves as a nod to contemporary tattoo culture. Redcliffe City Art Gallery is located at 470-476 Oxley Avenue and is open Monday to Saturday, 10:00am to 4:00pm. The Long Martch runs until Saturday, June 21. Next weekend will see a feast of free musical performances throughout Brisbane with two big events on the calendar. On Friday night (June 20), some of Brisbane’s most talented up and coming musicians will perform on the Melbourne St Green at QPAC for the launch of the Seed Project for 2014. Now in its second year, The Seed Project is an initiative of the Queensland Conservatorium of Music. The Seed Project will present free performances from 5:00pm every Friday evening, with the first show of the 2014 season to feature David Baker Music, Tinker, Jackson James Smith and urban country singer Taylor Moss. Visit the Seed Project website or follow them on Facebook for more information. 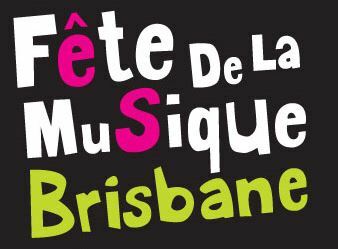 The following day on Saturday, June 21, the Fete De La Musique takes over Brisbane for a day of free music performances across the city. Fête de la Musique is the largest international live music event in the world. Initiated in France in 1982, Fete de la Musique is now held in 450 cities around the world every year on June 21. The event aims to expose as many people as possible to the local music scene by making music in a range of traditional venues and not-so-typical locations. Spanning every genre and style of music imaginable, over 150 artists will perform on the day in spaces like the Queen Street Mall, Brisbane City Cats, City Council libraries and Central Station. For more information about Fete de la Musique 2014, including details of the various artists taking part, visit the event website. As always, the Australian Cinemateque at the Gallery of Modern Art (GoMA) offers a diverse selection of free film screenings from around the world, with two programs running concurrently at the moment and another set to start at the beginning of next month. The Last of England: Thatcherism and British Cinema features films that showcase the significant social, economic and political changes in the United Kingdom under Prime Minister Margaret Thatcher. These films offer insight into how Thatcherism affected different facets of contemporary life. The program is currently screening and finishes on June 25 with James McTeigue’s V for Vendetta. Other films featuring in this program include The Crying Game, Trainspotting, Naked, Steve McQueen’s Hunger and Peter Greenaway’s The Cook, The Thief, His Wife and Her Lover. Also currently screening is Harvest: Food on Film, a program that features contemporary filmic explorations of food production, consumption and presentation as narrative motif. The films and documentaries in this program explore notions of connection, tradition, identity, power and status with regard to the production and consumption of food. Program highlights include Chocolat, Sideways, Like Water for Chocolate, Ang Lee’s Eat Drink Man Woman and documentary productions such as Food Inc., Red Obsession and Darwin’s Nightmare. The Harvest: Food on Film season continues until September 21. Perhaps the most interesting of the three programs is Contemporary Film and Video: Divided Selves, a collection of films from contemporary filmmakers and artists that offer representations of charismatic figures, often merging truth and fiction. Amongst the eclectic collection of films and filmmakers in this program are the likes of I’m Not There (Todd Haynes), The Master (Paul Thomas Anderson) and Mister Lonely (Harmony Korine), along with a selection of documentaries that includes Catfish and The Act of Killing. The Divided Selves program kicks off on July 2 with a screening of the Casey Affleck/Joaquin Phoenix faux documentary I’m Still Here and continues until August 30. Screenings are scheduled every Wednesday, Friday, Saturday and Sunday and there really is a diverse range of films on offer from all over the world. The full schedule of events at the Australian Cinemateque at GoMA is available here. Now in its fifth year, the Teneriffe Festival will be bigger and better than ever in 2014, with market stalls, fashion, food and music in abundance throughout the day on Saturday, July 5. The Teneriffe Festival celebrates the history, energy, cultural diversity, commerce and beauty of the suburb and the program of activities will include street markets, live music, fashion, dining and historical displays. Several of Teneriffe’s main streets will be closed, with more than 50 000 people expected to attend. Live music is a core component of the festival with performances across four stages throughout the day. The Merthyr Village Street Stage (located at the Florence Street end of Vernon Terrace) will play host to acts such as Amy Shark, Cafeine, The Belligerents and The Good Ship. The River Stage, located in the Manual Hornibrook Park on Vernon Terrace will feature artists such as Nat Dunn, Brianna Carpenter, Jason Kerrison and Avabaree, with Powderfinger’s Darren Middleton to headline the River Stage with a performance at 7.00pm. Five very distinctive acts will bring the London Laneway Roots Stage alive throughout the day, including Karl S Williams, Phil Smith and Sahara Beck, while the Nova Busking Stage is also back again to showcase both up-and-coming musicians and established performers such as Hannah Rosa. The festival will also have a focus on fashion, with a series of parades throughout the day focussing on Swim and Resort Wear, Sustainable Designs, Accessories, Shoes, Bags, Hair and Make-Up. There will also be parades showcasing the latest styles from new and established designers and local boutiques. There will also be historical displays and tours that explore the architectural, industrial and commercial history of the area, along with a kids zone and a multicultural precinct. Over 100 market stalls will feature an array of clothing, home wares, art and crafts and an extensive selection of food and beverages. For more information about the 2014 Teneriffe Festival, visit the festival website.